Join us Saturday, Dec. 1, as we celebrate the feast day of our patronal saint, Francis Xavier, and the start of Advent! 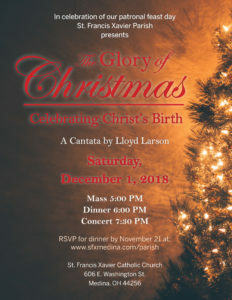 Our parish music ministry has been working hard for several months to prepare “The Glory of Christmas,” a cantata by Lloyd Larsen. Under the direction of music director Tom Bonezzi, the concert will feature about 100 singers from the youth and adult choirs, as well as other parishioners and community members. Providing the orchestra accompaniment is the talented Medina High School Encore show choir pit band and other community members. The concert, which takes place in our church, will begin at 7:30 p.m. and last about 50 minutes. We welcome all to join us for this very special evening of music as we reflect on the birth of our Savior and celebrate the beginning of our parish’s 159th anniversary year. 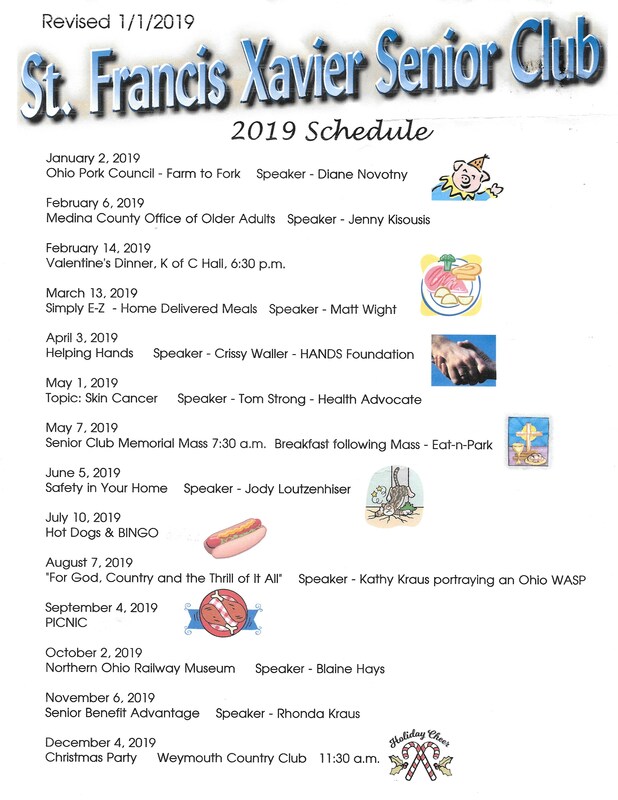 If you are unable to join us in person, we hope you will watch us via this video link below or on our parish Facebook page.